This sale item is non-refundable. With care and thorough cleaning after each use, these prosthetics can last for years making it perfect for the scare industry, haunt attractions and halloween events! 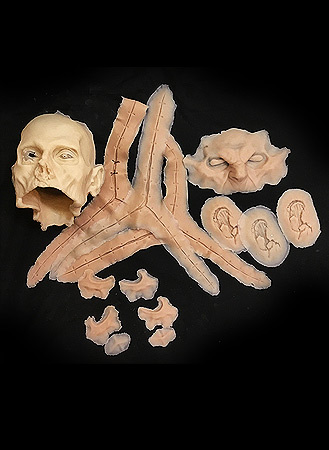 These prosthetics require NimbaFix Silicone Prosthetic Adhesive (available by clicking HERE ) to attach it to the skin effectively. Watch the video below for complete instructions on how to apply a prosthetic and watch our Werewolf Makeup Tutorial video for instructions on adding hair. Comes in unpainted silicone.